I have a compositional technique which draws attention to the ‘score as the director’ by taking the composer’s (my) choices out of my control. 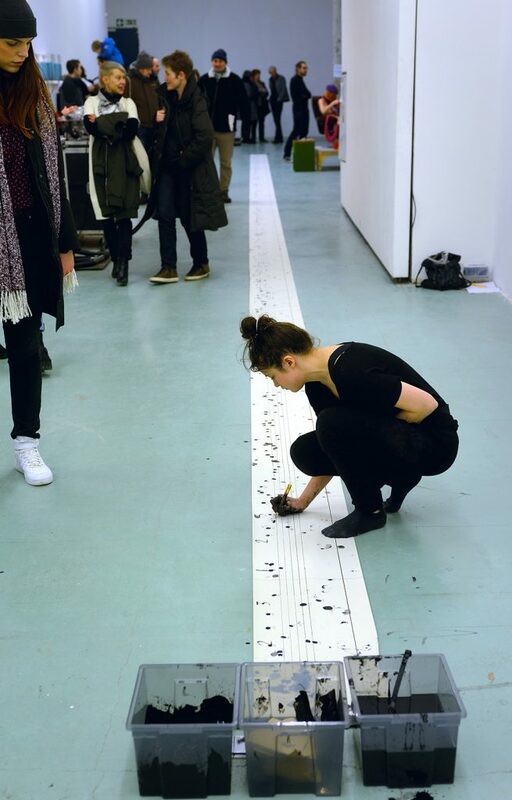 The pieces which have been composed in this way are collectively titled ‘Drip Works’. 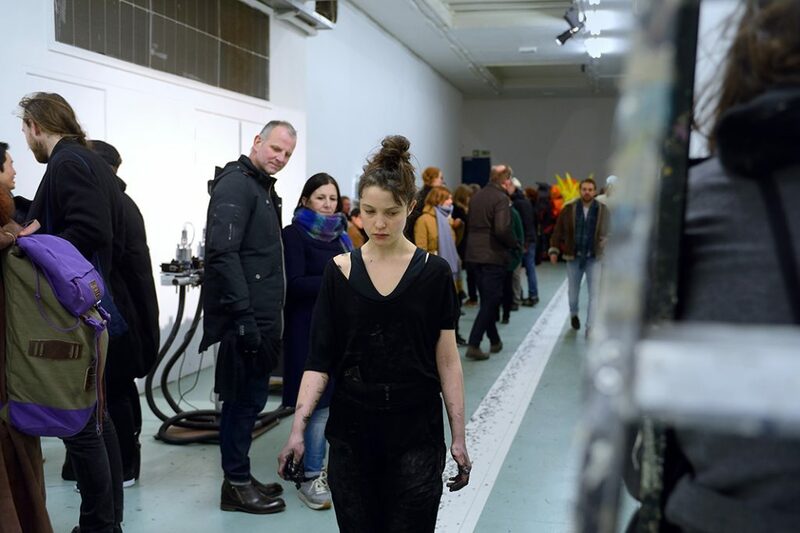 January 2016, I performed ‘Walk and Drip for 12 Hours’, in W139, Amsterdam. 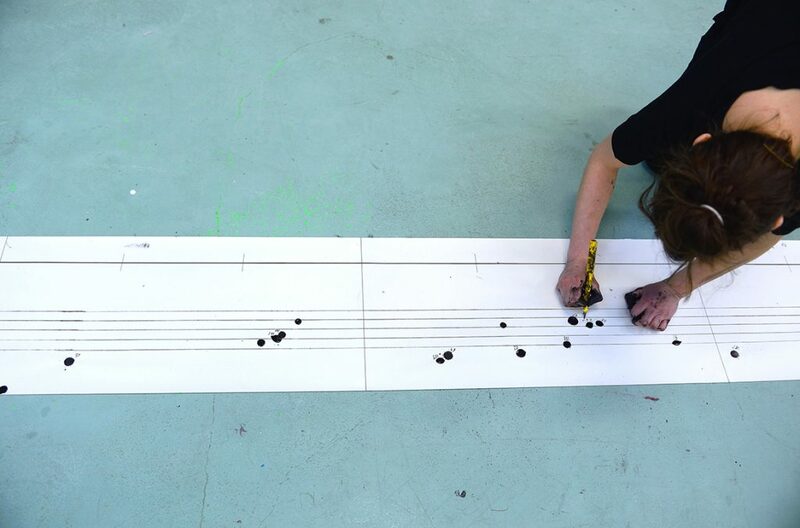 During 12 Hours (from noon until midnight) I walked continuously, up and down a previously hand drawn manuscript score (25 metres long) . 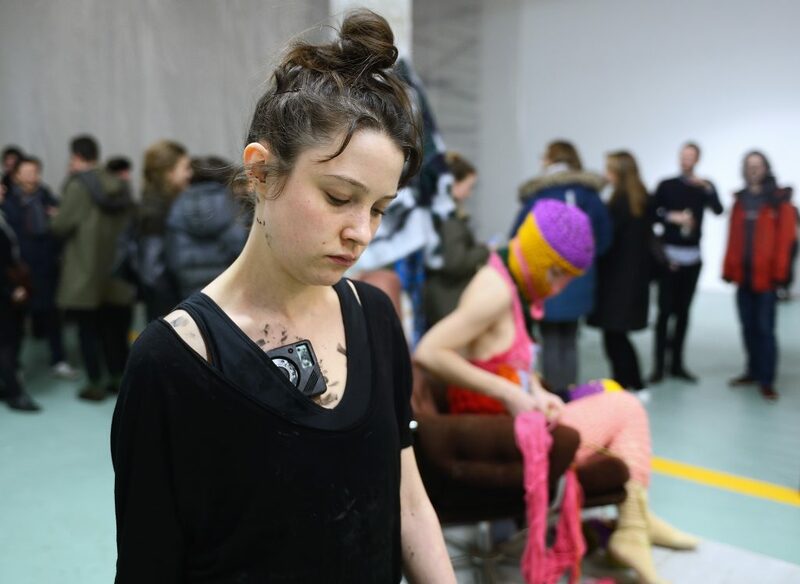 There were no musicians, and the score was not heard during this performance. 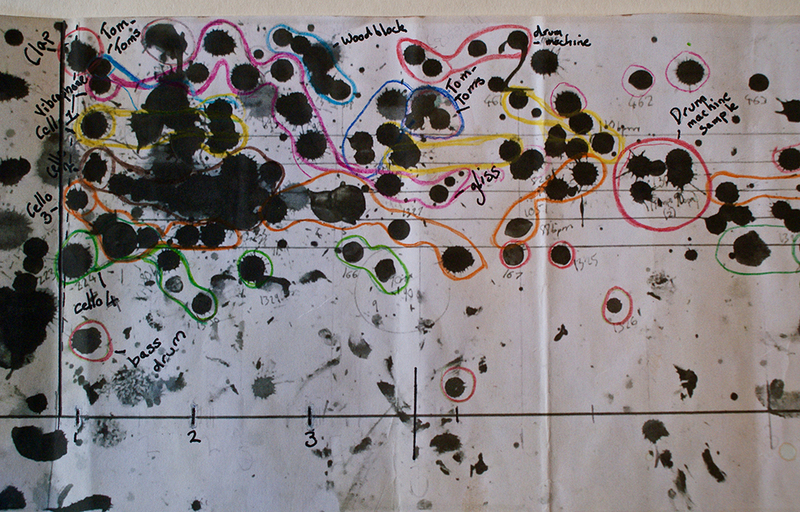 It was purely about the process of making the score. 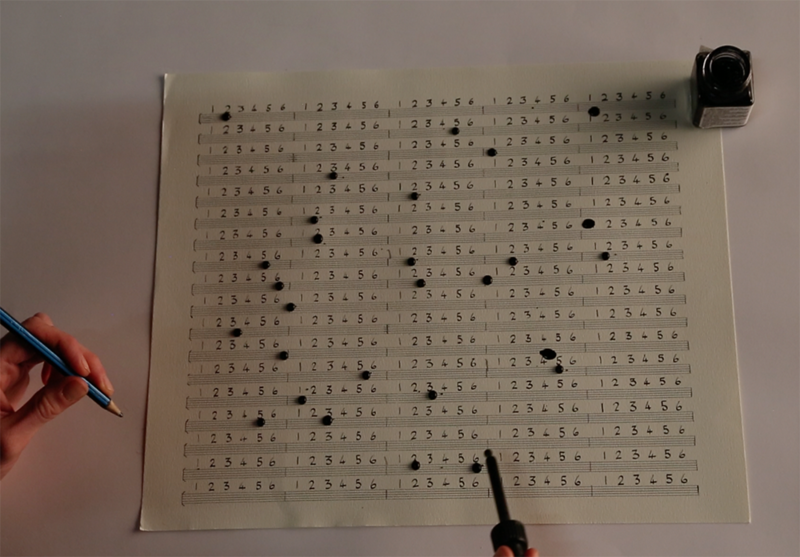 Whilst remaining silent, I stepped to the pulse of a metronome, carrying a cloth that dripped ink onto the manuscript – Every two hours I numbered the drips, and then carried on walking. The score is a means of communication between myself and the musician. I regard the score as visual art. 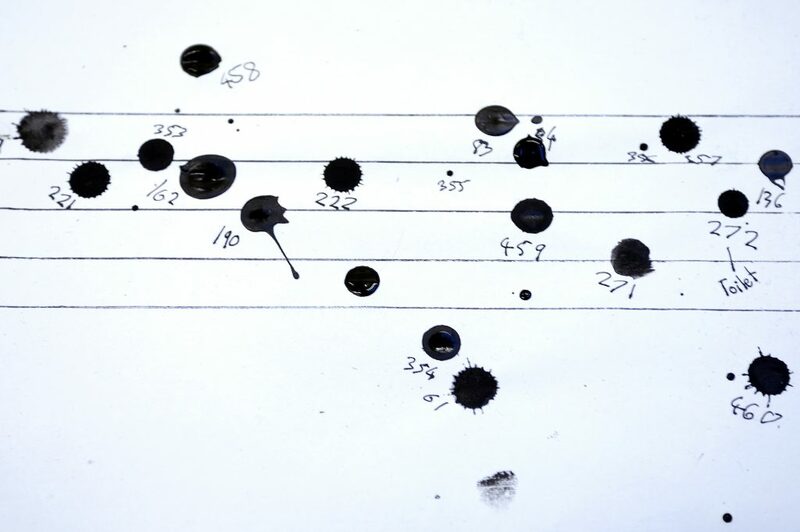 After making the score during 12 hours, I have been transcribing the drips which fell on the score in order to be played by musicians. 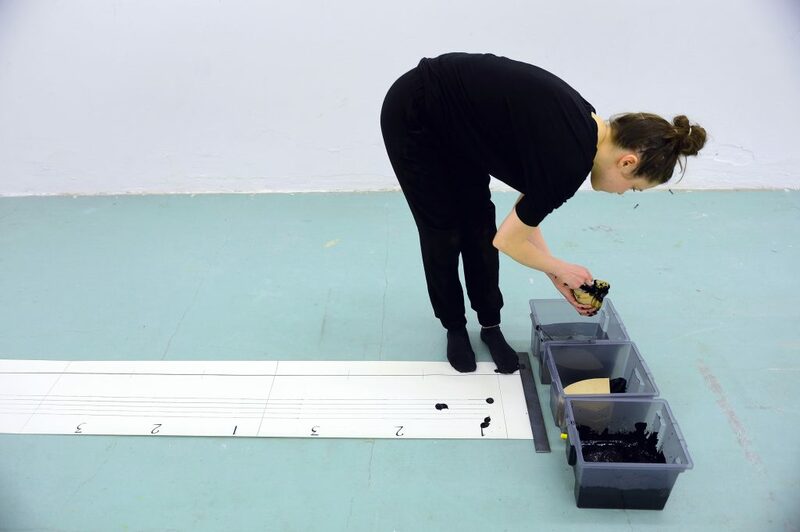 “I’m not sure if this score is a companion or a piece of paper containing the traces of 12 hours as I walked up and down it, trawling through my memories and dirt. I met with the hidden half in me as I carried the ink back and forth and counted each black drop that fell out of my control. The results feel like an illegible diary, a history that I am trying to understand.